Pyrite ring on quartz. Appears to be some sort of oxidization coating. 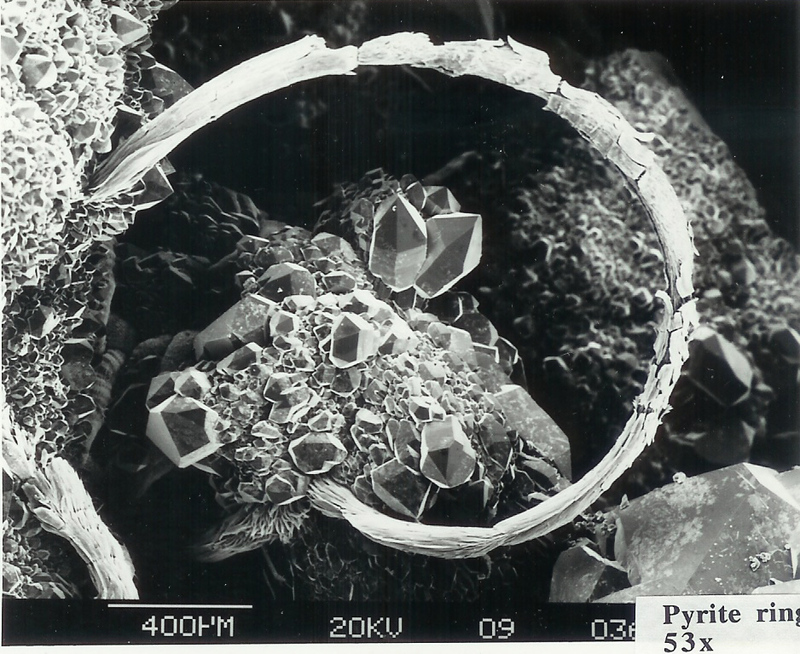 SEM image by R. Turner, specimen in his collection. 53x magnification.